Hey, whats up? Pattern mixing is a trend i find interesting. 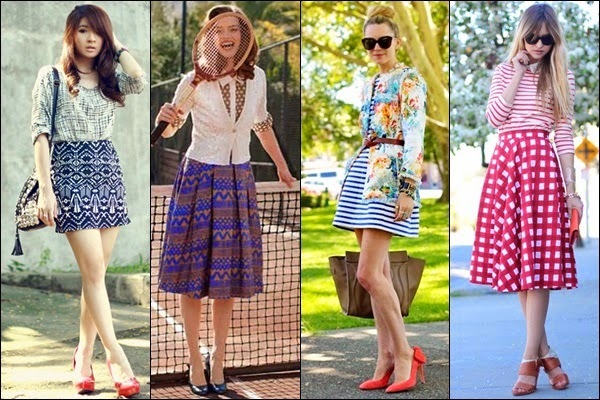 Lately ive been wearing pattern mixes...its pretty, elegant and can be casual. Yeah i think it looks adorable when casual. Finding which patterns to mix is quite not funny. If you ask me how i do it, i just pick out the dresses and match them right in front of me. I certainly find one pattern that matches another. Shoes can make it look hideous...wearing a wrong shade. Yes pattern mix is very selective when it comes to shoe designs and colour, so i go for a neutral shoe colour or something that is known for its agreement with many other colours. Striped tops are great for pattern mixing, matching similar looking patterns with different colors are good too. Go mix your favorite patterns today and wear it tomorrow.